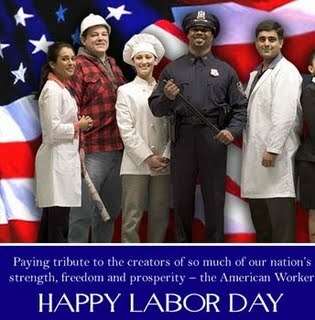 This past Friday, I sent an email out to all subscribers of BelvidereChiropractic.com informing them of a Labor Day Special that we are running until August 31st, 2012. If you missed it, then you’re probably not on our free email newsletter list. I encourage you to sign up today. Besides staying up to date with BelvidereChiropractic.com’s latest free, helpful information, regarding your health and wellness and other special events going on at Belvidere Chiropractic Center you’ll also receive time-sensitive announcements before non-subscribers do. For example, the email sent on Friday reminded subscribers that Labor Day is just around the corner. Therefore, we’ve decided to offer A Special Labor Day Gift of Good Health. The reason why we are here is to serve others by helping those in need who suffer from conditions such as: back pain, neck pain, frequent headaches, fibromyalgia, arthritis, and many other health problems. So, since you’re a reader of BelvidereChiropractic.com, too, we’ve decided to reward you for your loyalty as well. By offering you and your loved ones, a consultation, exam and any necessary x-rays (a $210 value), for only $30! during the week of August 27th through August 31st, 2012. Click HERE now to download and print your special certificate. Mention “The Labor Day Special Post” when you call us at (908)475-2933 during regular office hours to book your appointment during the week of August 27th through August 31st, 2012. Bring in your to your special certificate to your scheduled appointment. This is a first come first serve basis to the first 30 appointments and expires on August 31st so don’t delay! Call Now or you will miss out on this is a great opportunity to find out if Chiropractic care can help you. And, if you want to save some of your valuable time feel free to download and print our New Patient Forms by clicking HERE now. Then simply fill them out at your own leisure and bring them with you when you come in for your scheduled appointment.